There are times on Lanzarote when it pays to speak Spanish. At previously mentioned, it can be quite useful when there are problems with your bill in restaurant. But a special mention should be given to the market at Teguise. Here, even the guidebooks tell you not to accept the first price that the sellers ask you for, and try to agree on a price that you are happy with. 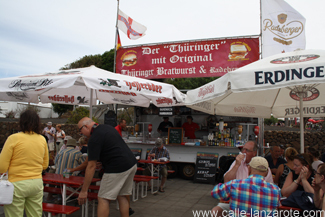 This is not only more difficult in a language that is foreign to the seller, but often they will be more happy to go down in price if they are selling to someone who appears to be a bit less of a tourist. 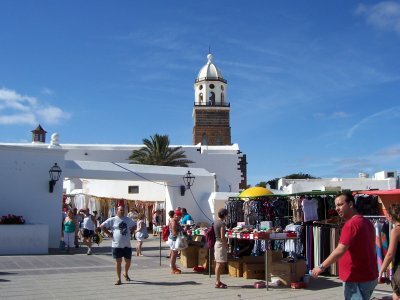 Many visitors make their way to Teguise on Sundays to visit the weekly market and for those not on an organised bus tour the main problem will be where to park. Although it is possible to park in the streets around the centre of the town, these are often blocked off for the day with police on hand to make sure that only the locals use them. 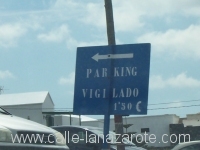 For everyone else there are the lava fields on the outskirts, where your car will be guarded for a charge of 1.50EUR. Often these display a notice with the distance to the market – be aware that the first ones you see will not be the closest!